Diamond files are excellent for filing, de-burring, notching, dressing and honing hard, brittle materials. They are electroplated with selected synthetic diamonds on the steel base. 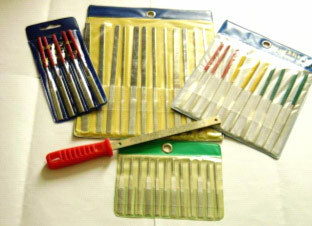 Low cost, durability and versatile performance make electroplated diamond files become a must in workshops. We can supply the widest selection of conventional electroplated diamond files for customer’s selection. We can also make special diamond files according to specific requirements. Please visit the links below for information of your interested diamond files or contact us.